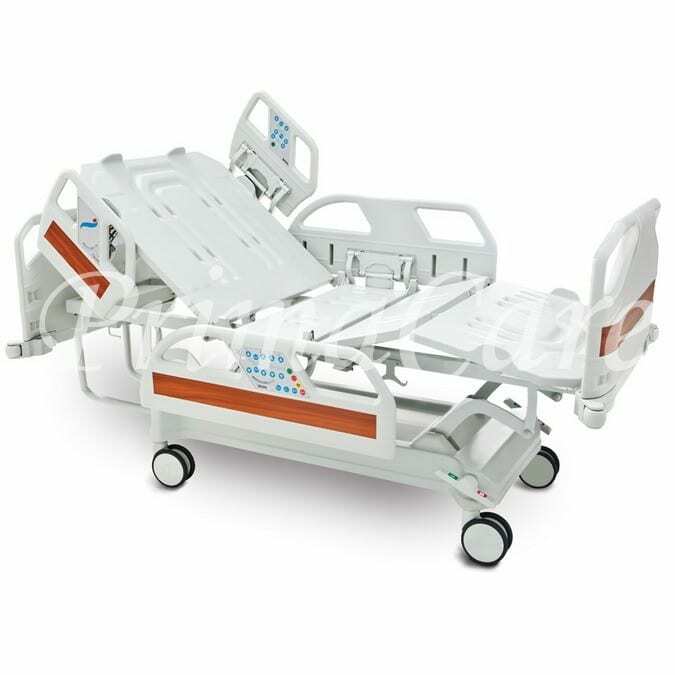 MS 5010 ELITE Hospital Bed with features tailored to support ICU staff and patient with the most adequate ICU bed functionality available, is a prestigious display of excellence. 5010 Elite is pure technology. 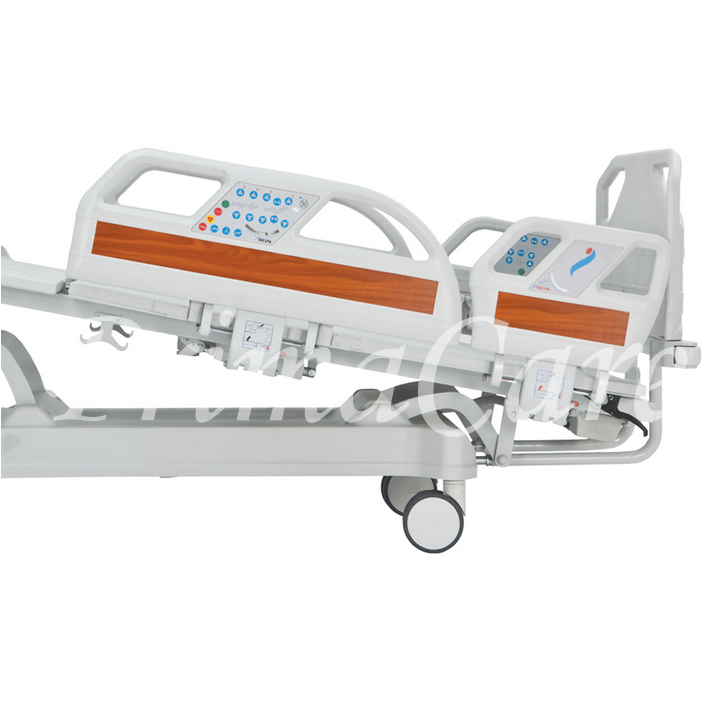 Built on a 4 motor mechanism to apply all positions essential to intensive care unit perfectly, this new generation ICU bed is developed as a combination of functions, for the most effective convalescence. 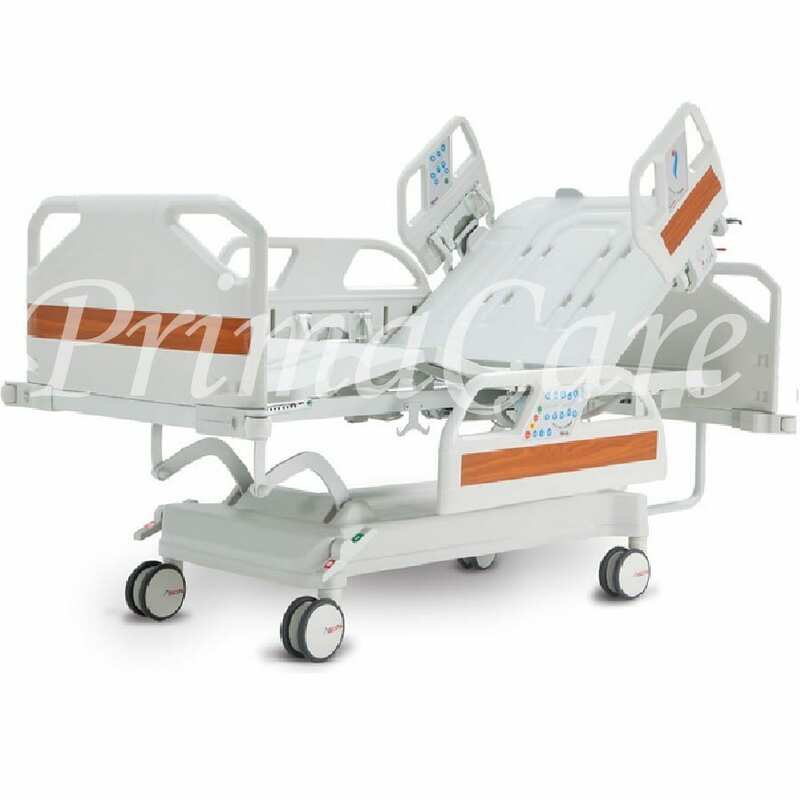 Stable sub-frame; Solid structure gives NG 5010 ELITE an indispensable property demanded from an ICU bed, stability. NG 5010 ELITE, has an easy clean ABS covered sub-frame to enhance hygiene in ICU, to provide the patient with a healty environment in a sensitive period. Angle indicator; To apply the positions in accordance with the theraphy with precision, NG 5010 ELITE, is equipped with an angle indicator, aiming at more effective trendelenburg and backrest applications. Auto regression system; NG 5010 ELITE, is equipped with an auto-regression system to maximize comfort during convalescence. 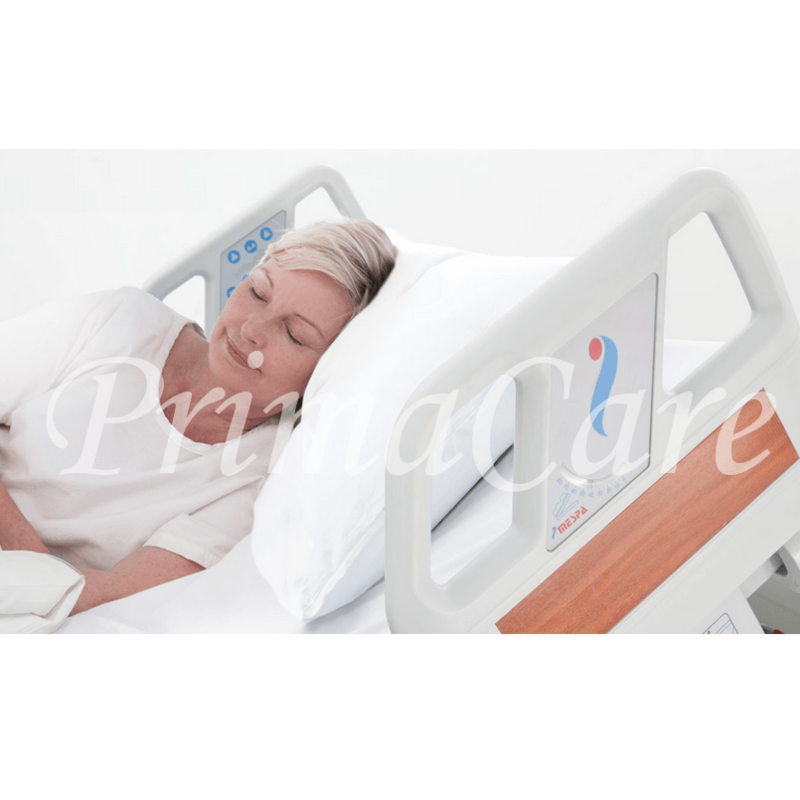 The bed is designed to automatically provide the patient with a more relaxing position to prevent abdominal muscle aches and skin irritations as cardiac and similar positions are activated. Improved safety; The headboard is constructed stable to prevent contact of apparatuses with the walls during trendelenburg position as a safety measure. Detachable foot and head boards; Detachable foot and head boards also facilitate a locking system to prevent accidental demounting of these parts. 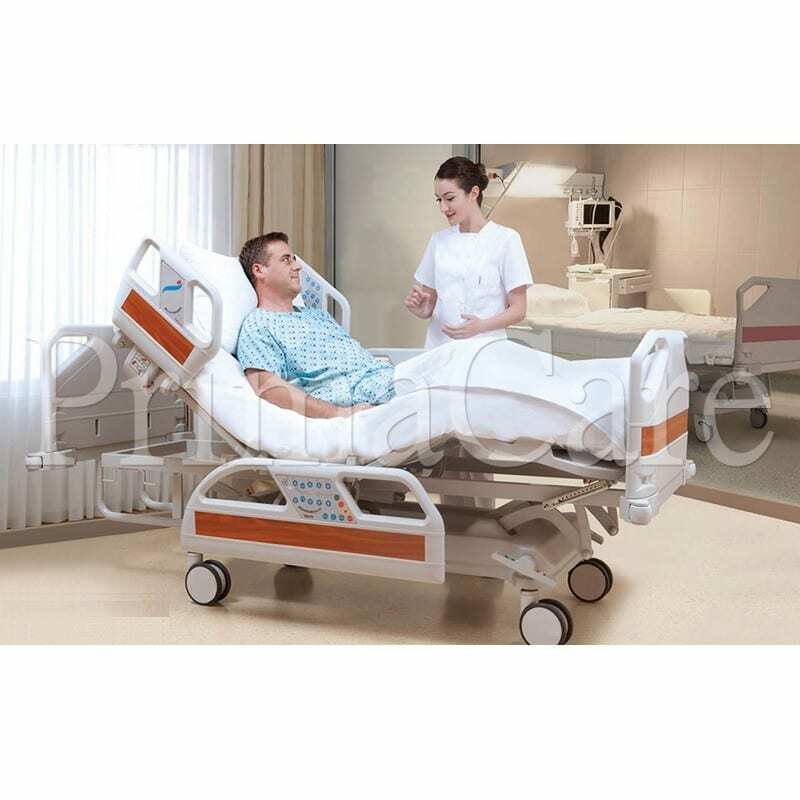 Patient evacuation; To aid patient with leaving the bed, the specially designed side rails, position as grip handles to support patient with one touch on the control panel. Central lockable castors; 3-mode lockable castors increase efficiency by foot controlled modes of swivel, single wheel lock and central lock to respond to staff’s needs of mobility and manoeuvrability.